Bollywood star and global icon Priyanka Chopra recently spilled the beans on her much talked about wedding during Watch What Happens Live with Andy Cohen. The host asked her about her wedding dress and Nick’s reaction upon seeing it. “Who cried most during the vow exchanges?” asked Andy and Priyanka blushed furiously as she said, “Nick, I mean he really did.” But that was not the only time the American singing sensation turned on the waterworks as PeeCee later revealed that the couple had shed tears when they had first seen each other in their respective wedding attire. 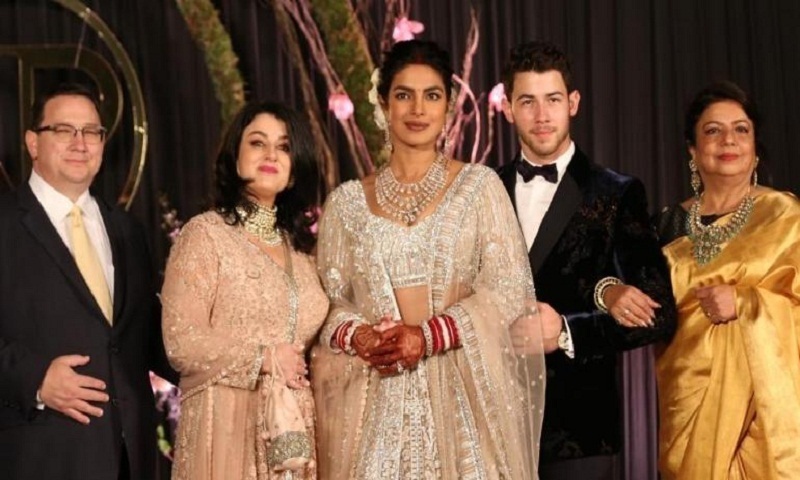 And it seems like Priyanka’s wedding was every bit the grand and glamorous affair we thought it was as the actor confessed that not only did they exceed their budget, but the lovebirds and their loved ones stayed up late post every wedding event. On the work front, Priyanka is looking forward to the release of her upcoming Bollywood project The Sky is Pink, which also features Farhan Akhtar and Zaira Wasim in pivotal roles, report The Indian Express.